Going rate for S&W 25-2? I'm not looking for a collector model, but in decent shape 25-2. In hunting around the intertubes, it looks like people want north of 1K for them, but the blue book seems to think 700-800 is more in line? These can't be like the snake guns of late- any idea what gives? Re: Going rate for S&W 25-2? I got one. Decent-plus shape. A 1973ish 25-2, 6.5" bbl. Not virgin new, but quite excellent, shiny condition still. Never did any experimentation. I fired 9 ring offhand groups with my lead wadgun ammo. 50yds. $850 plus whatever it costs for Roddy to send it to your ffl. I'll take pix next day or so. Jack H wrote: I got one. Decent-plus shape. A 1973ish 25-2, 6.5" bbl. Not virgin new, but quite excellent, shiny condition still. Never did any experimentation. I fired 9 ring offhand groups with my lead wadgun ammo. 50yds. I agree. I've got 2. A pre Model 25 and Model 25 "Model of 1995" versions and it would take a lot more than that to get one of them. 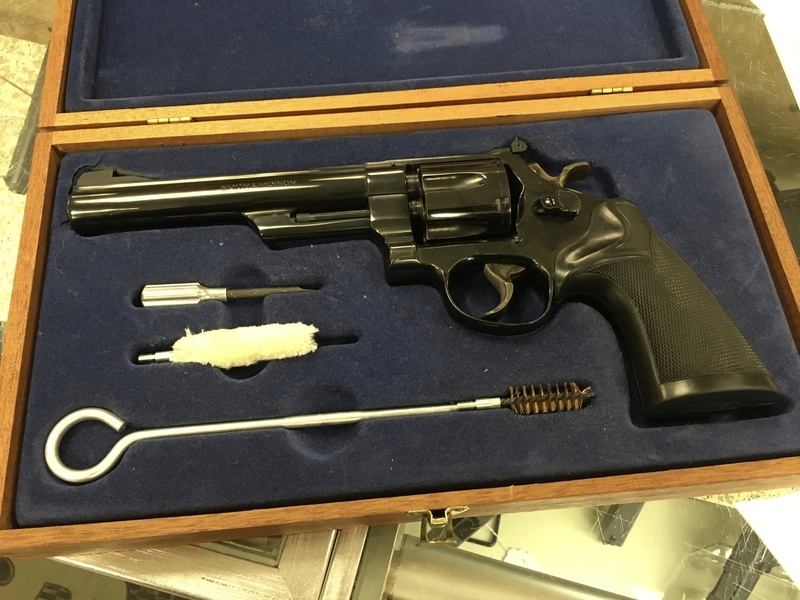 I was truly blessed last month when I was the only bidder on this cased, never fired (as much as I can tell) made in 1975 25-2 for $900 on Gunbroker.com. Sometimes you are just in the right place at the right time. Glad Jack made a sale! Hope the poacher enjoys their wares. But still- they made many, many thousands of these; I'd get it if it was some rare pistol, but it isn't and hasn't ever been. Are they just the bees knees to own these days? I'd rather wait than overpay, and looks like I'll need to for a bit more! Aufidius wrote: Are they just the bees knees to own these days? Not just 25-2's. 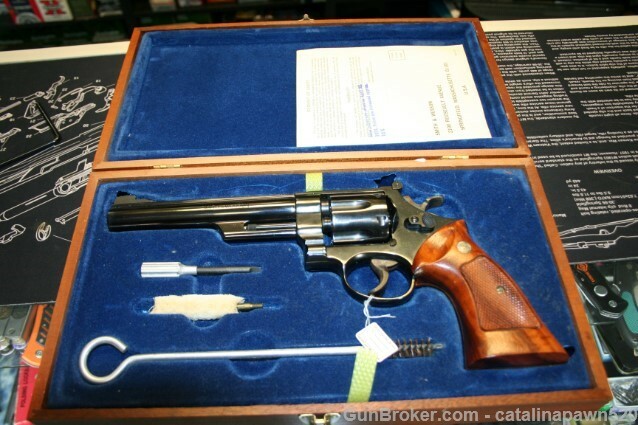 Most any Smith and Wesson in Excellent Condition or better that was made before they stopping pinning the barrels are selling well. Got this one for $850 last summer off Gunbroker. Barely a turn line.